Birthday Club 2017! Starts Now! Birthday Club 2017 Starts now! This year I have made a commitment to sending Birthday cards! I don't want to just send a facebook message or a quick text. Our handmade cards need to be used, and I would LOVE for you to join me! I requested birthdays to my newsletter list, and on facebook and I have over 1,000 to send out so far...so I will NEED cards, and lots of birthday cards! Each each month in my studio I am starting a Birthday Club! You'll make 8 cards each month. 4 different cards/2 of each! Envelopes included! 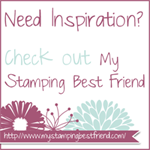 If you join for 6 months...then I will give you two free stamp sets. (Host exclusive ones of your choice!) Cost will be 15.00 or FREE with a qualifying order. *this is a recurring payment, and you can cancel anytime through paypal. You will be charged each month from the time you join. Anything after the 20th of the month will be for the FOLLOWING month. Join me in BRINGING BIRTHDAYS BACK! Either at my live class or ONLINE!